We are seeking to appoint a Locum Consultant Neonatal Paediatrician for 6 months initially commencing on the 01 October 2018. This position is a replacement post and will be followed by a substantive long term appointment. You will join a team of 5 Neonatal and 16 general paediatric Consultants. Candidates for this role must have full GMC registration with a licence to practise and preferably have recent experience within the NHS. The Shrewsbury and Telford Hospital NHS Trust has, following major investment, undertaken an extensive programme of reconfiguration of its Women and Children’s services with an entirely new purpose-built Women & Children’s Centre at the Princess Royal Hospital. The neonatal service at SaTH is a Local Neonatal Unit (LNU) within the Staffordshire, Shropshire and Black County (SSBC) Neonatal Network working in close partnership with the Network Neonatal Intensive Care Units at Stoke-on-Trent and Wolverhampton. The Neonatal Unit is a spacious high-specification modern Unit co-located with the new Paediatric and Obstetric units, and caters for over 5000 births per annum. The Unit has 3 intensive care, 3 high dependency and 16 special care cots with facilities for full ventilatory support. You will join a team of 6 neonatal Consultants. The post holder will take part in the non-resident on-call rotas for Neonatology. The department has full tier 1 and 2 tiers of Medical Staff and is compliant with BAPM nurse staffing requirements. There is great commitment to under- and post-graduate education, the Trust being an Associate Teaching Hospital affiliated with the new Medical School at Keele University. The Paediatric department is one of the largest acute District General Hospital Paediatric departments in the Country serving a catchment population of over 0.5 million. 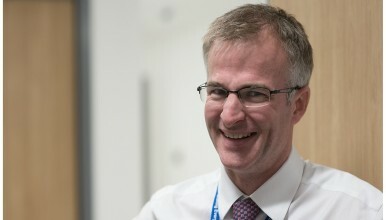 The single inpatient service has a large Paediatric ward with 36 beds, with specialist high-dependency and oncology areas, a new large Children’s Assessment/Short-Stay 8-bedded unit at the Princess Royal Hospital and a Paediatric Medical Day case Unit at the Royal Shrewsbury Hospital which are designed to facilitate Hospital admission avoidance. The paediatric department has a team of 16 Consultants with specialist expertise in oncology, respiratory paediatrics, diabetes and endocrinology, neurology and epilepsy, gastroenterology, cardiology, and rheumatology. Our vision is for the highest quality care, to provide an environment in which all staff, and in particular trainees, are supported and thrive, with greater delivery of care by Consultants in line with RCPCH recommendations and 7 day working. We want you to find out more about the department and our hospitals, and we invite you to contact Dr Kumar Sethuraman – Consultant Paediatrician – Clinical Director for Paediatrics with any questions you may have on 01952 565985.